Looking for the perfect tuning solution for your 2004-2014 Acura TSX? 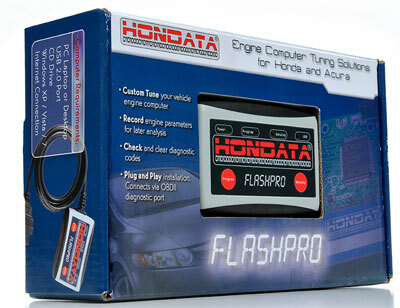 The Hondata FlashPro for TSX is the answer with its advanced tuning capabilities and easy setup. 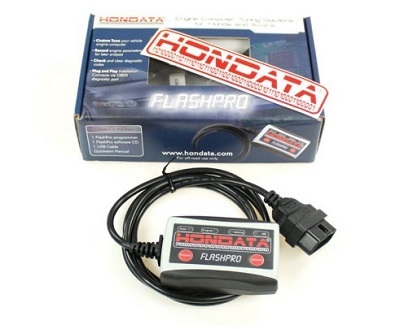 The Hondata FlashPro allows easy ECU/PCM programming changes/reflashes by plugging one end into the OBD2 diagnostic port and the other end into your laptop. The Hondata Flashpro Manager software allows full real-time tuning and datalogging capabilities of the TSX engine via the FlashPro system. - 2007-2014 Acura TSX require absolutely zero modifications to the ECU/PCM. The ECU/PCM never even needs to be removed or touched. All changes are done easily by plugging into the factory OBD2 diagnostic port. - 2004-2006 Acura TSX applications will require the factory 04-06 ECU to be replaced with an 07-08 TSX ECU. This is due to the 04-06 ECU not being able to be programmed through the diagnostic port. 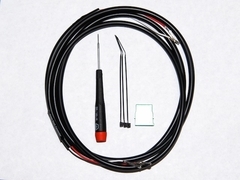 You will also need to install the CAN adapter kit to extend the factory wiring to reach the OBD2 diagnostic port. •Readiness codes and smog check status. •Dual calibration storage - upload from one of two calibrations stored in the FlashPro. •Expanded fuel, ignition & cam angle tables for forced induction. •Injector latency / dead time. •Starting calibrations for intake, headers & larger injectors. For a more detailed feature lists see the FlashPro help file. Hondata FlashPro CAN adapter kit.